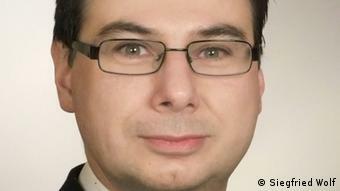 Analyst Siegfried Wolf tells DW that China’s “One Belt, One Road” initiative is not only economically burdensome for Asian countries, it would also trigger serious domestic and geopolitical conflicts in the region. 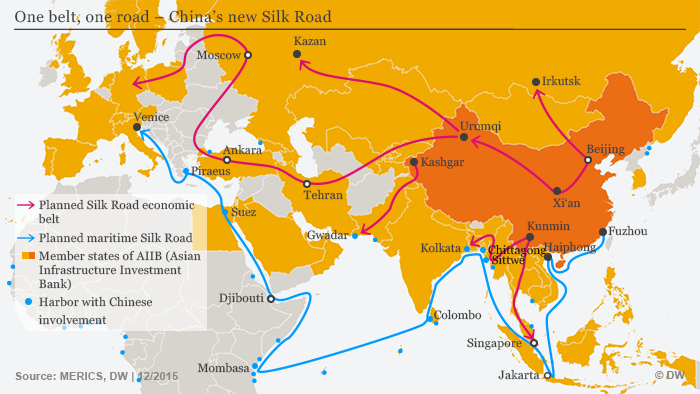 DW: How would you gauge the success of the “One Belt, One Road” (OBOR) summit in China? 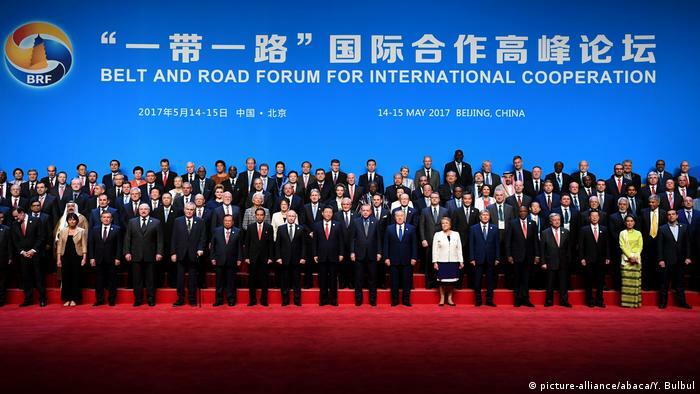 Siegfried O Wolf: Only less than a half of the countries officially involved with the OBOR initiative, which is also known as the “New Silk Road,” sent their delegations to the “Building the Belt and Road: Concept, Practice and China’s Contribution” summit in Beijing. A number of countries crucial to OBOR’s success – India for instance – are still undecided regarding their involvement in the project. The United States sent a team led by Matt Pottinger, special assistant to President Donald Trump and senior director for East Asia at the National Security Council, a relatively low-profile delegation. The European Union, meanwhile, sent out a “common message” outlining its main interests and concerns about OBOR. It is obvious that apart from China’s official rhetoric about the initiative, and the enthusiasm shown by Pakistan, Russia, Iran, and Turkey, the two-day summit that started on Sunday highlighted unease and concerns about China’s ambitious New Silk Road project. The summit failed to allay concerns about Beijing’s bilateralism, a lack of transparency, and the corruption issues related to OBOR. Also China is unwilling to address the EU’s objections regarding the protection of market rules, norms, technical standards, and economic interaction. The summit’s policy document confirms the increasing criticism of the project, especially the one leveled by the EU, which was represented in the China summit by the EU Commission’s Vice President, Jyrki Katainen. Is OBOR really an economic game changer for the participating countries as claimed by Beijing? The OBOR comes not only with a huge financial burden for the future generations, it will also create severe socio-economic and political problems for the participating countries. For example, in Pakistan, which is home to OBOR’s flagship project, the China-Pakistan Economic Corridor (CPEC), the initiative is accompanied by economic, political, and social problems such as an exclusion of the regions in decision-making processes; exploitation of regional resources without adequate remuneration; land grabbing; forced displacement of the local communities; internal migration, and massive distortions of fair and free economic competition. In this context, one should emphasize that Beijing clearly underestimates the resilience of local conflict dynamics and geopolitical rivalries. It is also interesting to note that many of the OBOR projects have actually nothing to do with OBOR and have long been in planning or in discussion. For the sake of OBOR’s promotion, all old and new development projects have been merged with this initiative. What are the European Union’s major concerns regarding OBOR? Do you think that Brussels and Beijing can overcome their issues in the coming months? Despite OBOR’s positive aspects, potential cooperation partners like the EU remain skeptical. There are several reasons behind this mistrust. Firstly, there is the problem that OBOR has no formal institutional structure. Secondly, China prefers to negotiate the OBOR projects in bilateral arrangements, which was also confirmed in the summit. This does not favor the establishment of a multilateral dialogue which the EU espouses. Also, there is a lack of transparency in decision-making combined with an insufficient level of communication by Chinese authorities regarding OBOR. Consequently, it seems that China cooperates with EU institutions when it finds suitable for its objectives, otherwise it deals with individual states. An effective OBOR dialogue platform between the EU and China is still missing. This would ensure that the EU economic actors have a fair chance to compete for business through open, transparent and non-discriminatory procurement procedures with Chinese competitors. As long as China doesn’t make any effort to bridge the gap between OBOR and different EU approaches, move toward multilateralism, and address the EU values based on good governance, the rule of law, human rights and democracy, skepticism regarding OBOR will persist. Some analysts say China’s aiming to increase its global hegemony through OBOR. Do you agree? The OBOR project is the most ambitious economic activity undertaken by China since the founding of the People’s Republic in 1949. It should be seen as Beijing’s effort to extend its economic success of the last decades to a geopolitical sphere. China claims that OBOR is based on principles of mutual benefit and that it is not interested in interfering in the participating countries’ internal affairs. Beijing also claims that it does not seek to increase its sphere of influence or exercise hegemony. But the current developments linked with the OBOR implementation show that Beijing will be – or already has been – drawn into existing inter- and intra-state conflicts, for instance the Indian-Pakistani rivalry. Therefore, OBOR must be identified as a Chinese attempt to win over new strategic partners and build a multi-polar world order conducive for China’s national interests. Should the participating countries with weaker economies be careful about their level of involvement in OBOR? OBOR could intensify existing governance problems, especially economic accountability and corruption. It could also help empower governments that have a poor track record on democracy, human rights, security and development. The initiative also has long-term geopolitical implications; it increases political and economic dependencies. In this context, one must not forget that China’s financial support in the OBOR framework is primarily based on loans. As such, participation in OBOR can produce a tremendous, unsustainable debt burden with disastrous consequences for the weaker economies. How’s the Trump administration in Washington viewing OBOR and China’s global ambitions? Despite the fact that the US sent a low-level delegation to the summit in Beijing, and that it “recognizes the importance” of OBOR, Washington has kept its distance from the project. The Trump administration has not formulated a clear-cut policy on it. Washington is concerned that OBOR is creating “fault-lines” that will have negative implications for US interests in Asia. It is emboldening countries that have a clear anti-US stance like Iran and Russia or that are interested in reducing the US leverage in the region, such as Pakistan. We see that China is getting increasingly involved in regional security and defense initiatives, for example the multilateral talks on Afghanistan organized by Russia. Furthermore, Washington also perceives OBOR as a threat to its interests in the Asia-Pacific region. Despite these concerns, the US does not consider OBOR as an economic threat, especially in terms of its trade relations with Europe that are based on a decades-old economic and political alignment. Siegfried O. Wolf is director of research at the Brussels-based South Asia Democratic Forum (SADF) and a South Asia expert at the University of Heidelberg.